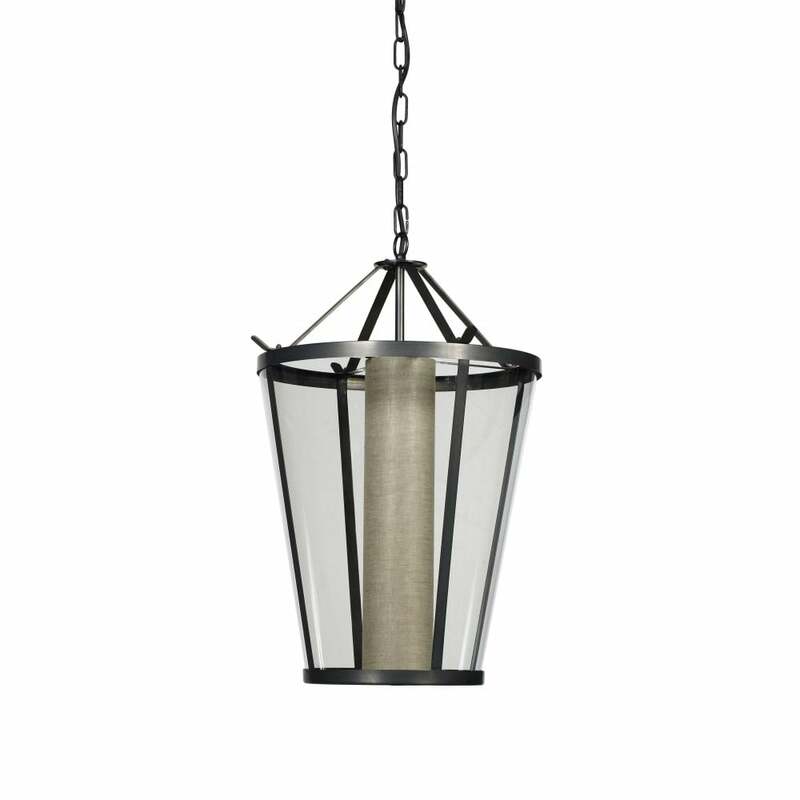 An elegant, modern twist on the traditional lantern. Pendant light in bronze with polycarbonate and sand linen shade. Also available in IP44 rated version.